I mentioned Monday when I talked about Fall Gardening that I didn’t even want to think about bringing in the house plants. Of course that’s what I did all weekend. One of the joys of summer is being able to see out of my windows–when the blinds or shutters aren’t drawn against the heat, of course. 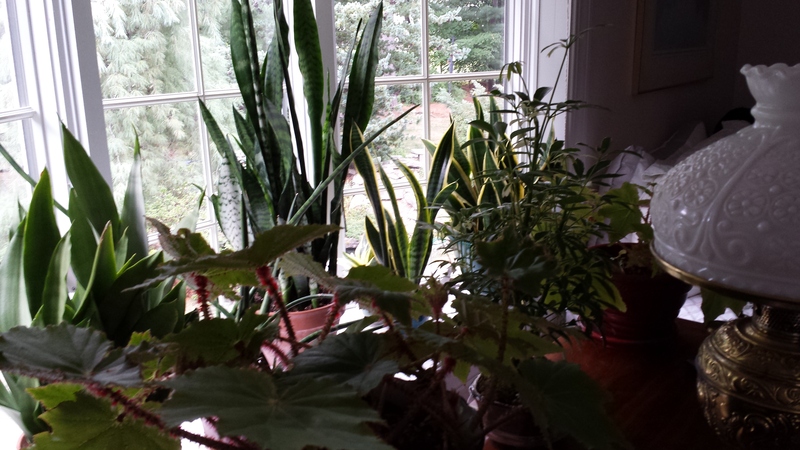 Now my windows are full of plants. Clearly I make use of every available inch of space. 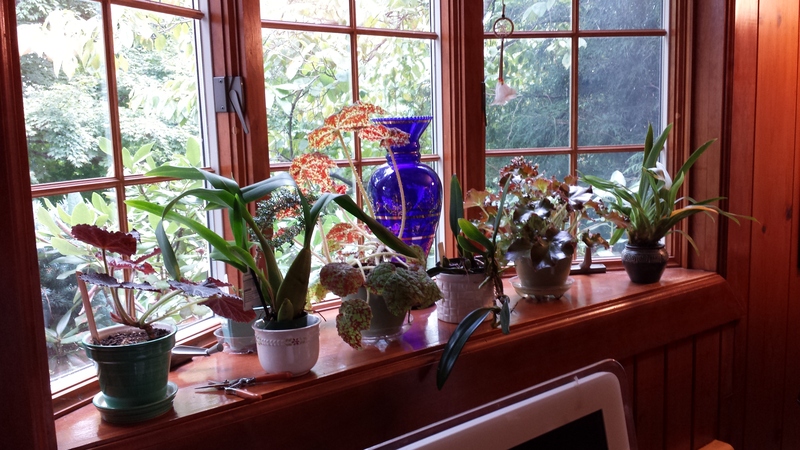 Although there is certainly room to shoehorn some more plants onto this windowsill when I acquire some–and that’s when and not if, of course. 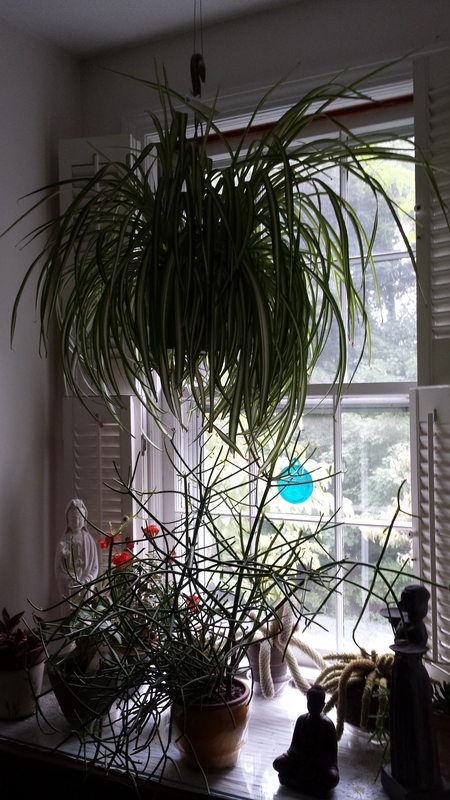 Over the years, the plants I’ve brought in have gotten larger, so I bring fewer in each year. Once it was over 200. This year, it’s 91. But as I said, there will be more as the year goes on–and I am planning a longer trip at the holidays, so probably so of these will succumb as well. 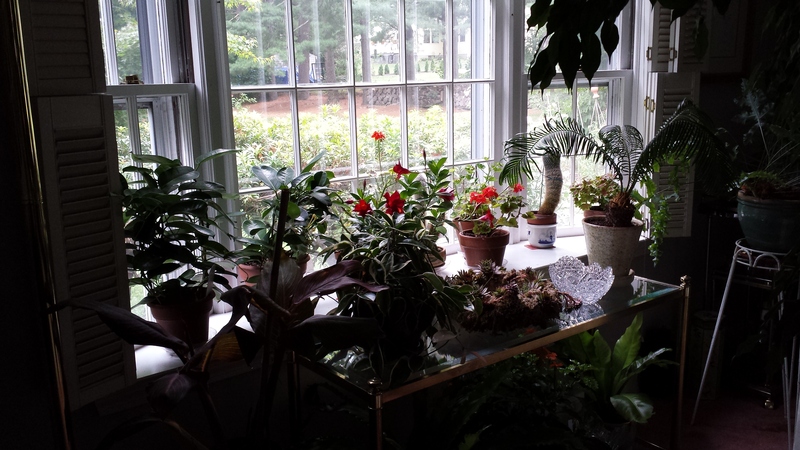 Who knows what will go back outside next spring? Previous Article Fall Gardening–I Am Too Old For This!